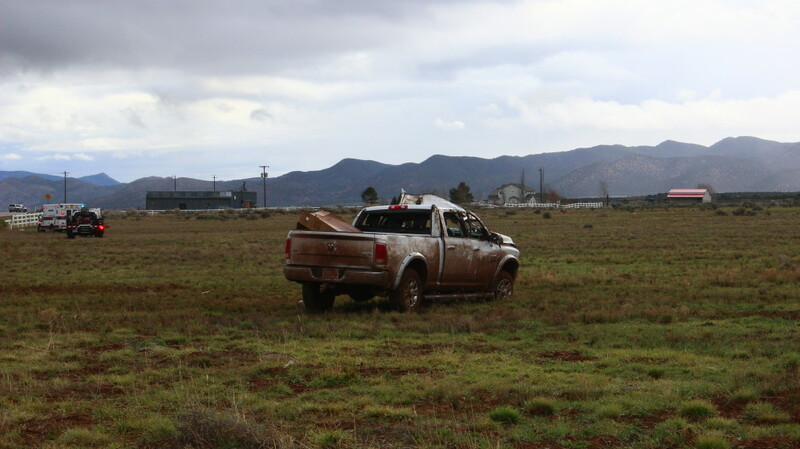 ENTERPRISE — An Ivins man is dead Saturday after the pickup truck he was driving veered off the highway and rolled in Enterprise and lifesaving measures proved ineffective. Quentin Ence, 78, of Ivins, appears to have been westbound on state Route 18 approaching the highway’s junction with Main Street in Enterprise, Utah Highway Patrol Sgt. Larry Mower said. At approximately 7:45 a.m., law enforcement and emergency response personnel were notified of the single vehicle rollover. 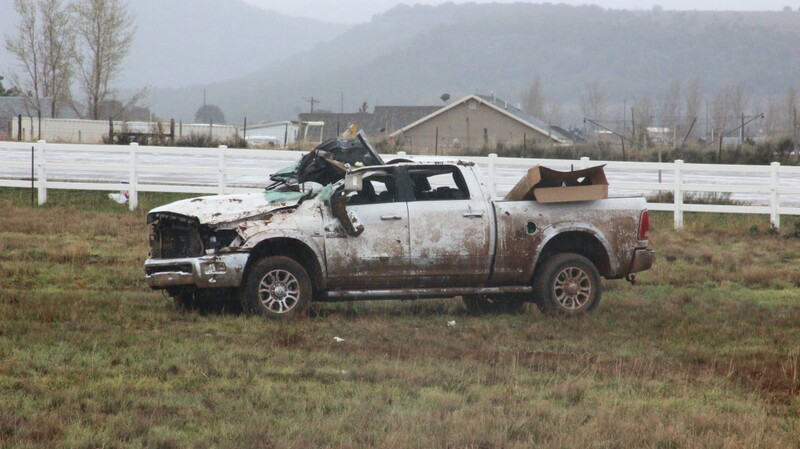 On arrival at the accident scene, they discovered a Dodge Ram 2500 pickup on its side in a field on the south side of SR 18 and just east of Heritage Park. Enterprise Fire Chief Brenden Moody said the driver’s compartment was crushed and they had to use Jaws of Life to remove the patient. Emergency personnel initially found Ence with no pulse, but as they worked to remove him they were able to detect a faint pulse. However, Moody said, by the time he was removed from the Dodge, no pulse was detected and responders began CPR. 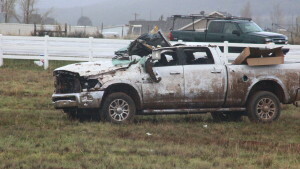 After approximately 20 minutes of CPR, Moody said, Ence was pronounced dead on scene at 8:25 a.m.
Tire tracks led from SR-18 off an embankment on the south side of the highway, leading through a smashed fence and then ran parallel with the fence before veering left through the open field. From where the tracks left the road to the final location of the Dodge appeared to be 300-400 feet. 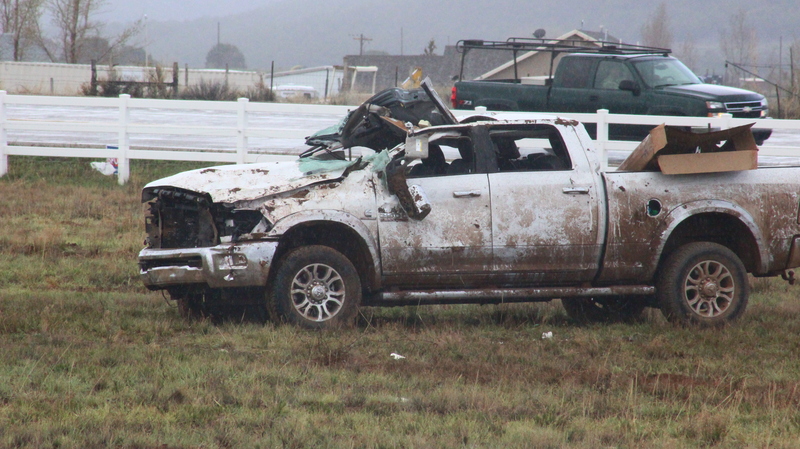 Heavy rain did not appear to be a factor in the crash, Mower said, adding that witnesses reported the Dodge was traveling at normal speeds and appeared to veer off the road. 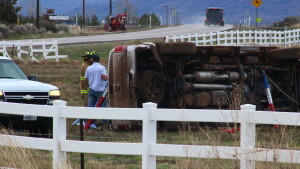 Ence was not wearing a seat belt at the time of the accident, Mower said. 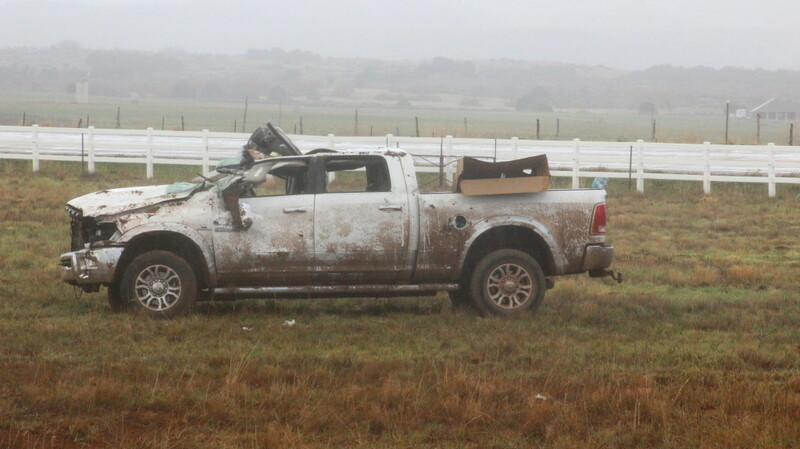 Airbags were not deployed. 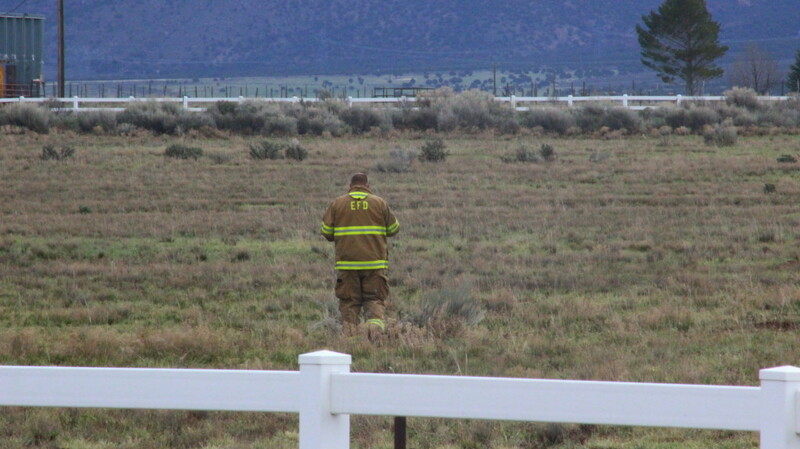 Intermountain Healthcare Life Flight was dispatched toward the scene but returned to base when lifesaving efforts failed. 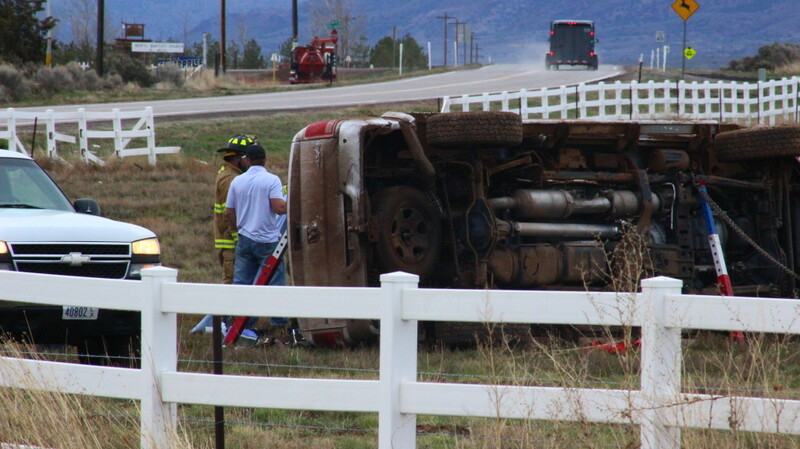 UHP responded to the incident with two troopers, Washington County Sheriff’s Office with two deputies and Enterprise Fire and EMS with about 15 personnel. Resources – added April 12, 9:45 a.m.